Mast cell. 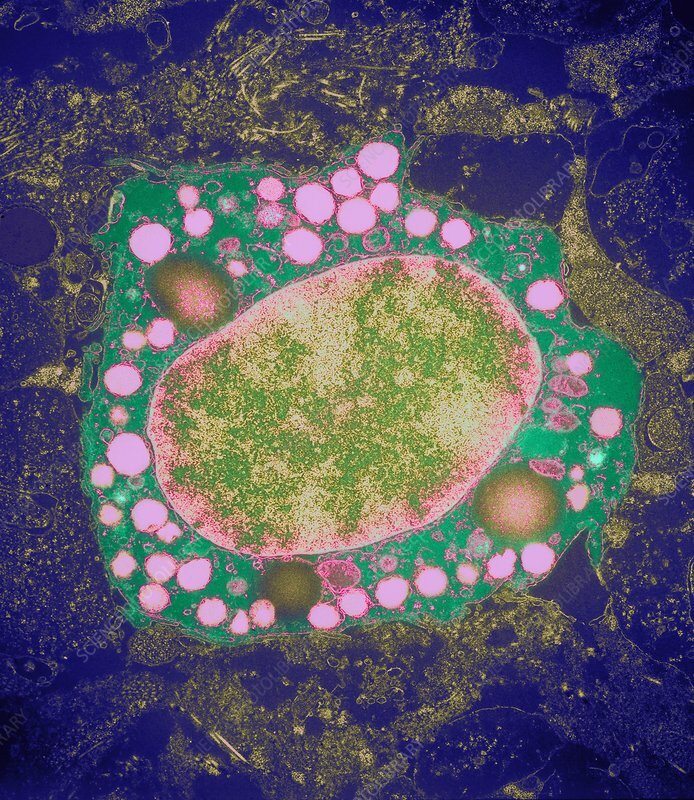 Coloured transmission electron micrograph (TEM) of a section through a human mast cell, isolated from connective tissue. The large oval structure (light green) is the nucleus, which contains the cell's genetic material. The cytoplasm (dark green) contains granules (pink), which are released in response to inflammation or allergy. The granules contain heparin, histamine and serotonin. Heparin is an anti-coagulant and histamine increases blood vessel wall permeability. Release of granule contents occurs as part of the body's general defence mechanism at sites of infection. Magnification: x8750 at 6x7cm.